The Body revival novice powerlifting competitions are the perfect opportunity for anyone to come along and test their strength under competition standards in a fun and friendly environment. The day welcomes lifters of all age, gender and experience, perfect for a first timer to try their hand at the sport of powerlifting. It is a perfect stepping stone into the sport of powerlifting or just a fun opportunity to lift something heavy and test your strength. Our novice competitions are ran with high standards, we have experienced referees, spotters, loaders and coaches to ensure you have the best day of lifting. We assist in assuring you have the best support you need as a first timer, from helping you pick your lifts to giving advice on the technique and understanding of the rules and expectations. 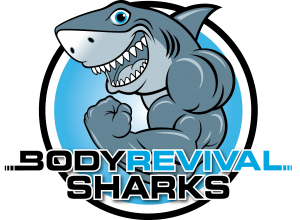 The Body Revival Perfect the movements workshops are a hands on learning experience to help you get a better understanding of the big compound lifts.This workshop is perfect for anyone of any level. From beginners just needing some guidance to an advanced lifter how wants to really fine tune their lifts. It is a hands on workshop so bring your training bag and get ready to learn and lift! The Body Revival Powerlifting seminars are a perfect opportunity to learn what to expect leading towards Body Revival’s novice powerlifting competitions. We will cover everything from what to expect on the day, how to prepare, what to bring to how it will be refereed and how the scoring works.